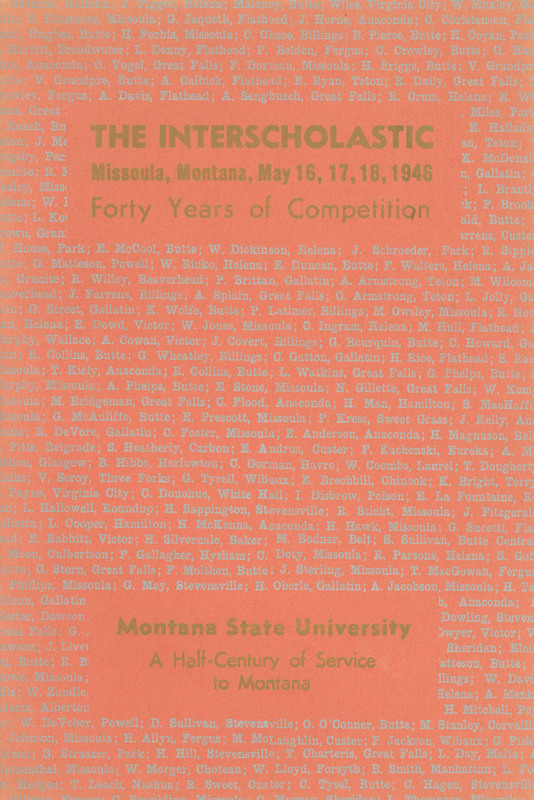 Fortieth Annual Interscholastic Meet Program, cover and page 1. 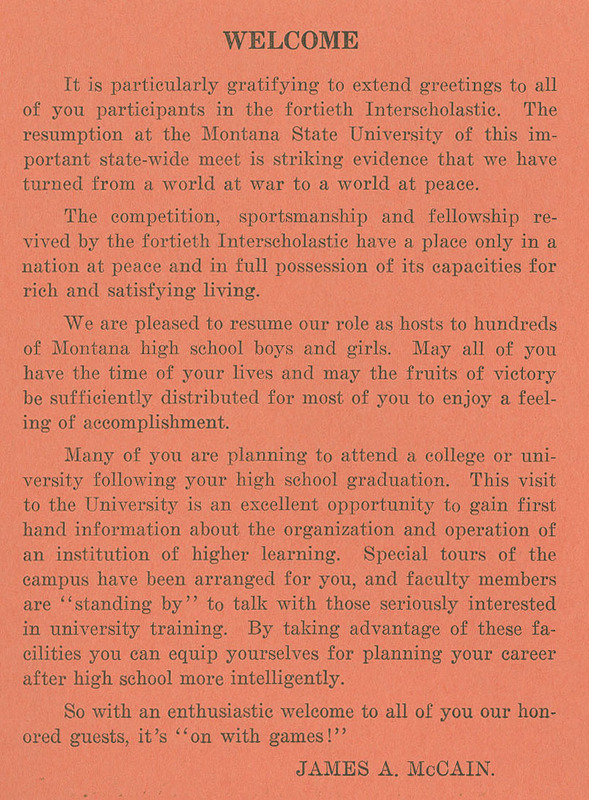 Meet program for 1946 May 16, 17 and 18, includes university president's message about the end of the war. 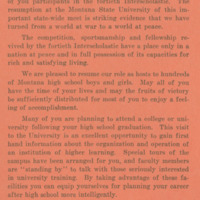 Digitized on 9/9/2011 using an HP Scanjet 8200 at 200 PPI, 24 bit RGB. Web-viewable images created from master TIFF using Photoshop CS. 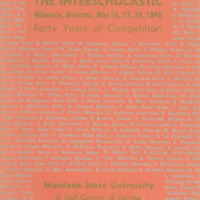 The University of Montana-Missoula, “Fortieth Annual Interscholastic Meet Program, cover and page 1.,” Archives & Special Collections - Maureen and Mike Mansfield Library, accessed April 22, 2019, http://exhibits.lib.umt.edu/omeka/items/show/1253.